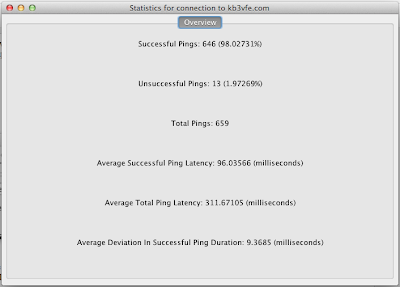 Network Ping Tester is based on a previous application I developed and mentioned in a previous post, Simple Network Tester. 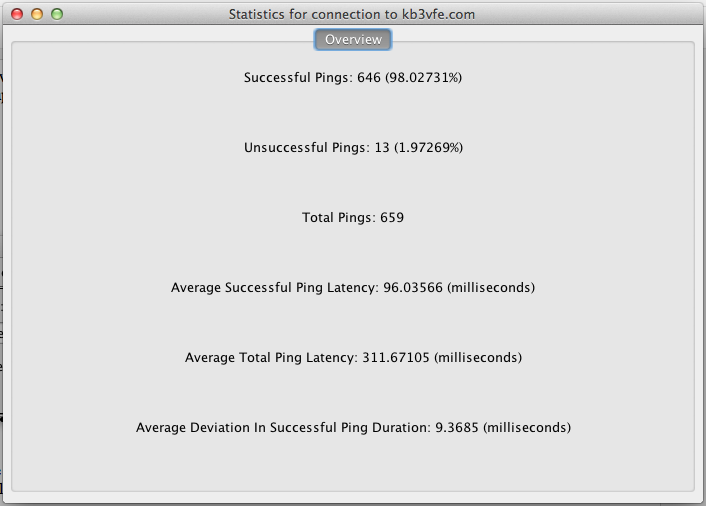 The first revision of this graphical ping tool was rough around the edges and had some errors that I ran into. This version is a much cleaner implementation, and has a few additions. The tool as it stands now is complete. If there is interest in it, I would be happy to develop it further. It could use graphs and data dumping to a .csv or similar. If anyone finds the tool useful, let me know. I'll also be glad to develop any features you would find useful. This is neat! You could always just use the command line to test your ping to various sites, though, but I suppose that's a bit complicated for the average user.